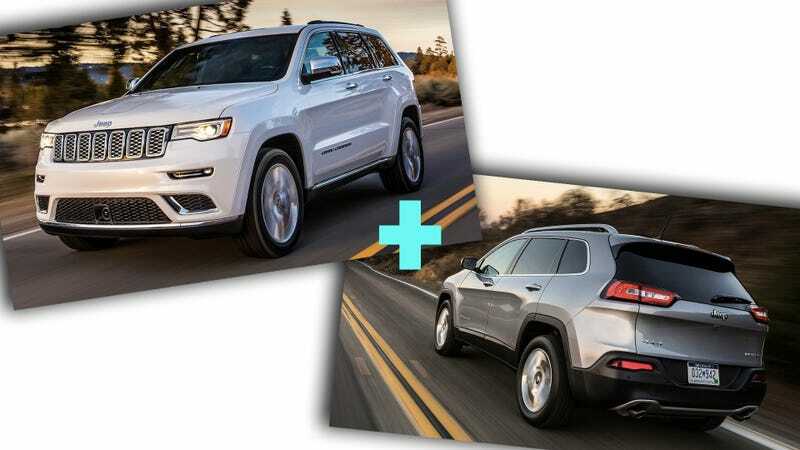 In its last major corporate update Fiat Chrysler announced it would replace the Jeep Compass and Patriot with a new “C-Segment” SUV this year. Officially, we haven’t heard much about that since. But some spy shots from Brazil seem to give a pretty clear indication of what Jeep’s up to with their next smallish 4x4. Part of me thinks FCA has bailed on this timeline because we now know the next Wrangler is slated for 2018 not, ’17 as the chart indicates. Or maybe this meant calendar year 2017. But let’s not get side-tracked. Did you look at Autoo’s images of the alleged next-gen C-sized SUV? It’s lovely. Looks very Land Rover-influenced in the front, not counting the Jeep signature seven-slat grille of course. That glossy black roof indicates panoramic sunroof, and if it’s true to the “Compass” scale it should wedge just below the Cherokee and above the Renegade. If I had to guess on appoints I’d imagine there’s a medium-sized four cylinder and a modest V6 option, some variation of “4WD,” a nine-speed automatic and a big screen running FCA’s Uconnect infotainment rig. With a nice redesign and repower, whatever Jeep scraps its woeful Compass and Patriot for could be nicely positioned to basically be a budget-sized Grand Cherokee. But I guess that was the plan for the first Compass, and let’s be real, the thing was pretty much never not terrible. Whatever Jeep names its new SUV it will be rivaled against the Honda CR-V, Hyundai Tucson, Ford Escape and Mazda CX-5. If a Trailhawk is introduced with a nicer interior and more off-road pretenses, I might hear arguments that the Land Rover Discovery Sport is a rival as well.